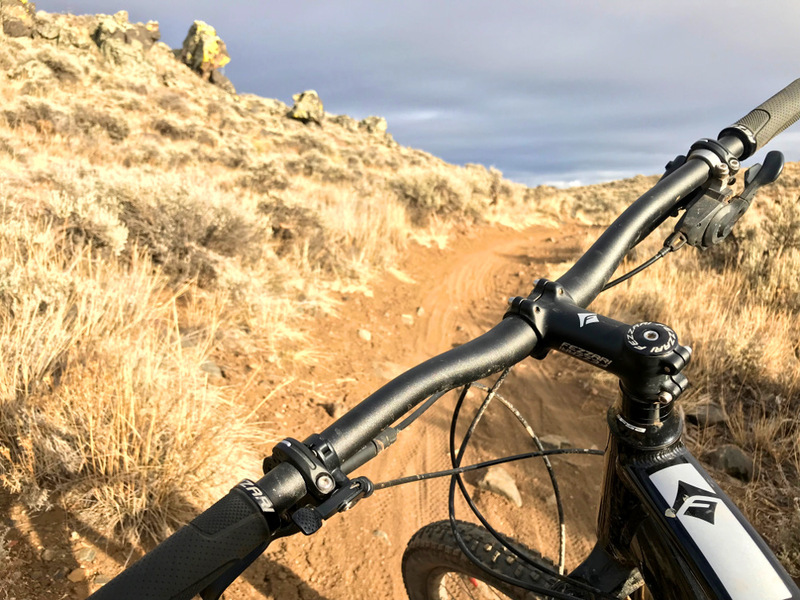 After our shoot at the top of Tailpipe I went on a hour long ride to check out a variety of trails to see for myself how they were holding up. My route was Beck’s, Rocky Ridge, Broken Shovel, Sea of Sage, Luge, Beck’s, Tailpipe and back to the truck at the top of Kill Hill. Honestly, I was expecting to see a bit more mud than I did. Rocky Ridge had a couple muddy spots, but nothing you couldn’t avoid with a rock line. Beck’s, Broken Shovel, and Sea of Sage were primo. Luge had one spot at the beginning where a bit of snow was lingering; that one may be problematic for beginners especially since it was in a fast section. The only one that really needed a chance to dry out more was Tailpipe. We’ve also gotten some second-hand accounts from friends and social media followers that Collarbone is still swampy. In addition there’s a closure remaining on Enchanted Forest and Rattlesnake. 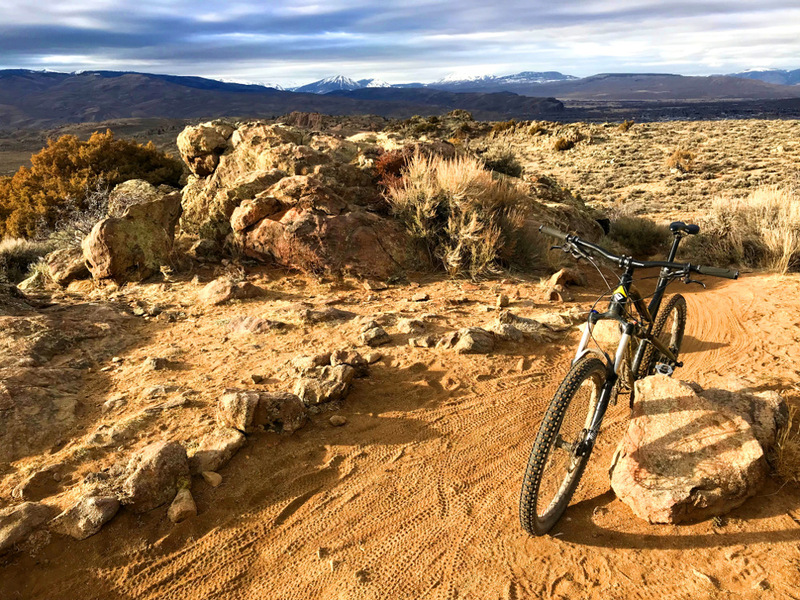 Gunnison Trails also calls out Ring Dyke, Josho’s, and Freefall as a few trails that should be avoided until we have a good string of warm bluebird days. The seasonal closure south of the powerlines remains until May 15 for Gunnison Sage Grouse mating and habitat. If you want the most up-to-date information on when the trails above dry out, follow us on Facebook and Instagram. If you have your own conditions reports you can tag us on either platform so we can pass that info on. If you haven’t already done so, go download the CBGTrails app in Itunes or Google Play. It’s a free app that includes real-time trail reports. You can also play the Trailquest game within the app. 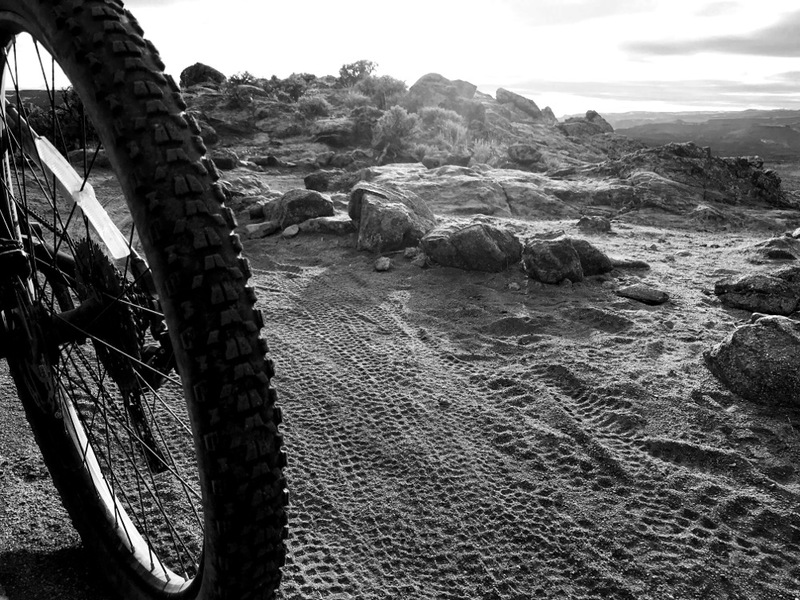 If you’re not familiar, this is a game to ride all 750+ miles of Gunnison Valley singletrack. Earn prizes and ride miles! Now that Hartman’s is open and it’s not dark until 7:30pm, you can be pretty sure that we’ll be out riding as often as possible. See you on the trail!